Haldighati festival is most faimous Festival in Rajasthan.Haldighati festival is coming on 11 June 2013. Haldighati is rajasthan's Ghati.this festival is celebration in Rajasthan. Maharana Pratap jayanti is a celebration of birth day of a well known king of Mewar region of Rajasthan. It is the occasion to remember a brave son of Mewar who fought against the enemy of this brave land of Mewar. Maharana Pratap had born as on 3rd day of Sukla Paksha of Ashadh month of Hindu calendar. That is the time of to enjoy a famous Haldighati fair of Mewar. Maharana Pratap was the most popular ruler of mewar region of Rajasthan. His name is fixed in the book of history of Rajasthan in golden words. He was one of the kings of Mewar who spent his whole life to survive the prestige of Mewar. Maharana Pratap jayanti is the birth celebration of this famous past mewar ruler of this land of jewel. During the time of Maharana Pratap jayanti there is a fair organized at the place of Haldighati. 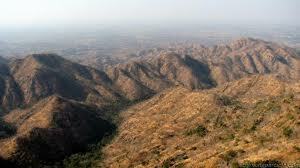 Haldighati is a well known battle place of Maharana Pratap against the force of mughal emperor of country named Akbar.